The Palau de la Música Catalana (1905-1908), a masterpiece by the architect Lluís Domènech i Montaner, is the headquarters of the Orfeó Català, a leading Catalan choral society. 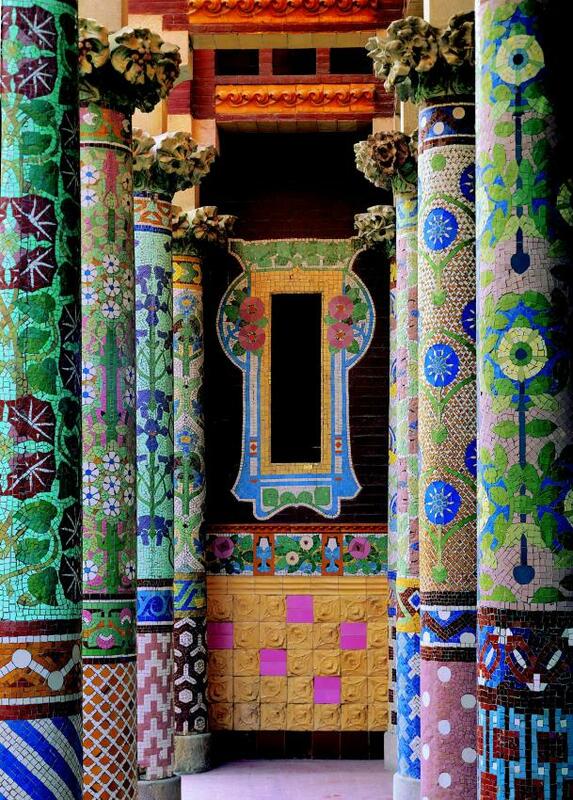 The Orfeó Català was founded in 1891 by two young musicians, Fèlix Millet and Amadeu Vives, and the commission for the building was formalised during the time when the jeweller Joaquim Cabot was president. It is a building in which Domènech i Montaner demonstrated his maturity as an architect, with a daring construction project in which the entire structure is made of iron and bound together by an exposed brick wall. On the other hand, the detailed design work of the finishings from the Rigalt i Granell stained glass studio, the mosaics by Lluís Bru and the sculptures by Eusebi Arnau and Dídac Masana provide the whole with an allegorical meaning concerning music and choral singing. The Orfeó Català Foundation was created in 1990, when the extension and restoration work for the building began. The painstaking intervention by Oscar Tusquets, Lluís Clotet and Carles Díaz, in collaboration with Ignacio Paricio, was courageously undertaken but also respected the building's original design.